Formulated using the best quality standardised extract and powder mix to give optimum benefit. HealthAid globe Artichoke leaf is rich in Cynarin, the natural nutrient thought to help maintain a healthy liver and digestive system. Artichoke is also useful in maintaining a healthy heart, cholesterol and blood circulation to legs and feet, and was used in food as an aphrodisiac. 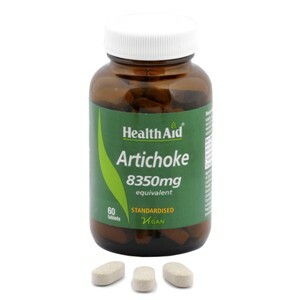 Thank you for your interest in HealthAid Artichoke - Standardised Tablets. Enter your email and we'll contact you as soon as it's available again.